Financial wellness as an employer-sponsored benefit has moved quickly to the top of mind for many companies spanning nearly all industries. Several recent studies have shown the importance of offering financial wellness programs in-house, as a no-cost perk to the workforce, focusing heavily on improving the overall lives of employees by reducing money-related stressors. Research has found that employees who have a better handle on their day-to-day financial circumstances, based on knowledge of financial basics, often perform better at work, take fewer days off to manage money emergencies, and are overall happier in the workplace. Employers benefit from all of these components in terms of productivity and morale, but they also experience an improvement in recruitment and retention of top-tier talent simply by offering financial wellness to their workers. Saving for a comfortable retirement is paramount to an employee’s long-term financial wellness, but the task is far from easy. There are several factors that come into play with how and when workers save toward retirement, including having access to an employer-sponsored plan, understanding how that plan works, and recognizing the amount of savings needed to leave the workforce when the time comes. Unfortunately, employees often lack confidence in their ability to set aside funds due to other financial circumstances, like managing consumer debt, paying off student loans, or not being able to budget on a month-to-month basis. Financial wellness programs have the potential to improve the level of understanding of the basics of money management, leaving workers more capable of saving for retirement. As benefits brokers and advisors, an employer-sponsored retirement plan often delivers ongoing revenue, but only when employees are engaged with the plan. Engagement can only come when workers are educated not only on retirement savings strategies but investment allocation, pre- and post-tax contributions, and other financial topics that are relevant to them. Offering financial wellness as a benefits advisor gives one the opportunity to discuss these important aspects of money management with each participant, and ultimately, increase contributions to the plan over time. Financial wellness programs may also decrease the use of retirement plan funds for early withdrawals or loans which benefits both the advisor on the plan and the long-term financial success of each employee. When employees have a clear understanding of what financial tools they can use to destress, save for retirement, or pay down costly debt, they are far more likely to feel confident in their ability to explore the addition of other employer-offered benefits. Supplemental benefits like a college savings plan, life or disability insurance give workers peace of mind that their total financial picture is covered. Benefits advisors that offer these supplemental benefits in addition to a retirement plan can increase participation in various programs through financial wellness. When workers understand the immediate and long-term benefits provided by these additional business lines, as well as their need for them, advisors can boost their effectiveness and revenue at the same time. Benefits advisors who embrace workplace financial wellness by offering it to each employee have the opportunity to develop lasting relationships with workers that can lead to ancillary business. Helping an individual understand his specific financial circumstances and the tools he can use to improve them is an invaluable addition to that employee’s life. Should that worker leave the employer, he will likely be more willing to speak directly with the advisor about what should take place with retirement plan assets, insurance benefits, or other lines of business not related to the previous or future employer. Benefits advisors who take on individual clients can grow their practice immensely by offering financial education to participants first. The role of the benefits advisors is not to blatantly sell but instead make the full scope of benefits offered by the employer as advantageous as possible while also being cost-effective. Adding financial wellness into the mix not only improves the business outcomes of the company, securing a long-term relationship with the advisor, but it also promotes individual interaction with workers who may need more assistance on a one-to-one basis. 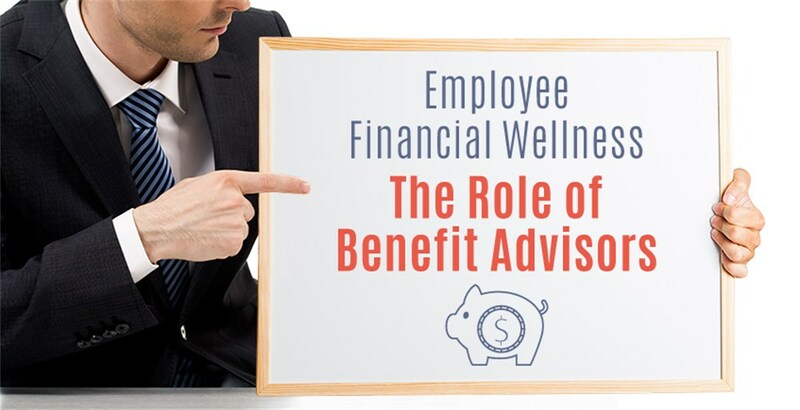 Benefits advisors may also see the participation rates within employer-sponsored plans and supplemental benefit offerings increase as the result of sound financial wellness programs. Overall, taking a step toward robust financial education in the workplace benefits all the employer, the employees, and advisors alike.